This is a round Texsun Grower porcelain sign. This particular Texsun Grower sign is predominantly maroon and yellow with maroon and white text. 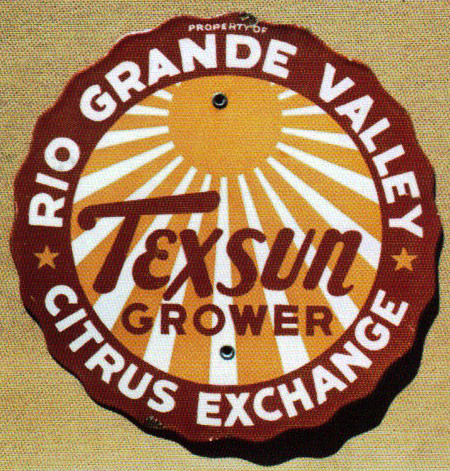 It reads, “Property of Rio Grande Valley Citrus Exchange, Texsun Grower” and features a yellow sun in the center of the sign.